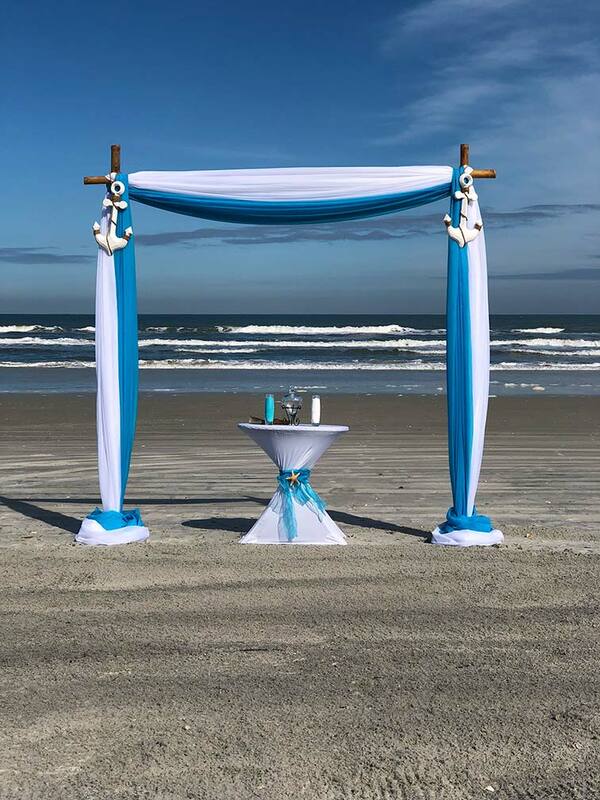 Affordable Beach Wedding LLC in Daytona Beach, New Smyrna Beach, Ponce Inlet, and Ormond Beach offers a beautiful and romantic ceremony by nature’s most breathtaking venue, the ocean. Saavy couples recognize that it doesn’t have to cost a fortune to celebrate their memorable day. 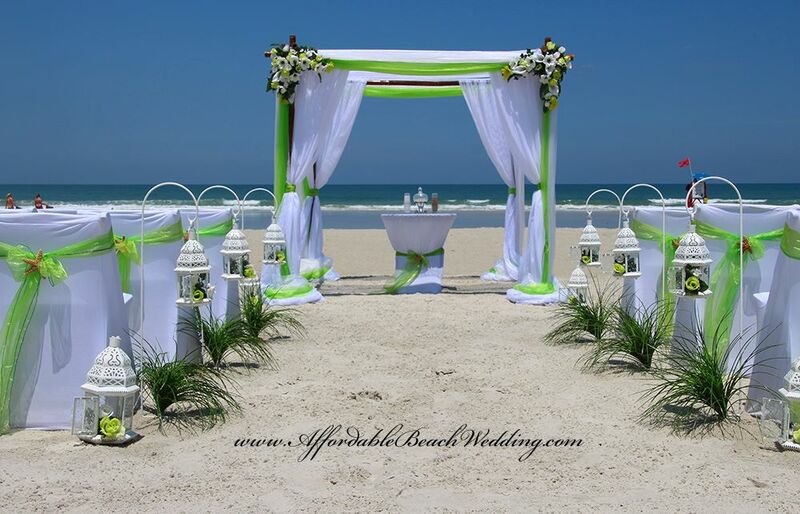 With Affordable Beach Weddings LLC in New Smyrna Beach you will receive top notch service from start to finish. 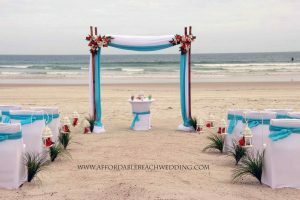 Affordable Beach Wedding LLC will help you take care of all your needs for your wedding ceremony and wedding reception. 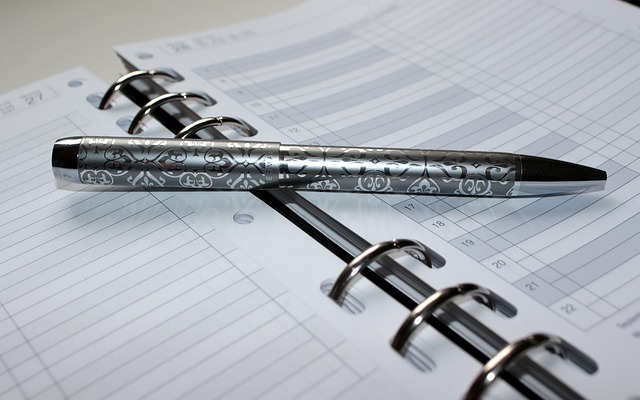 We offer wedding packages designed to simplify your planning experience. This is the time to join with family and friends to celebrate your wedding day. 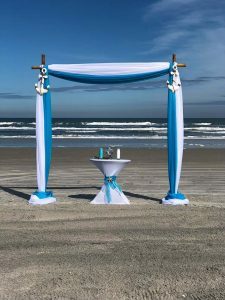 We offer elegant arches and canopy setups in Daytona Beach and New Smyrna Beach that will be a beautiful memory of yours forever. 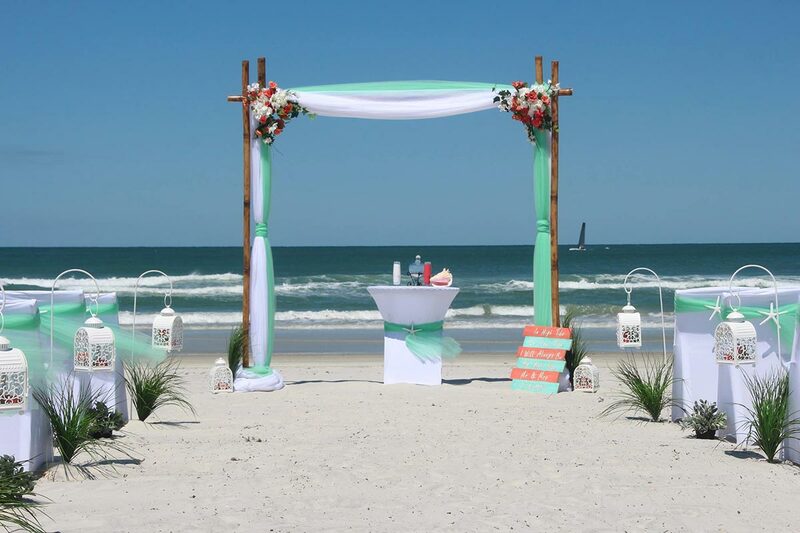 Daytona Beach and New Smyrna Beach are the perfect places to have your beach wedding and offers access to many resorts, restaurants and recreational facilities all along the beach. 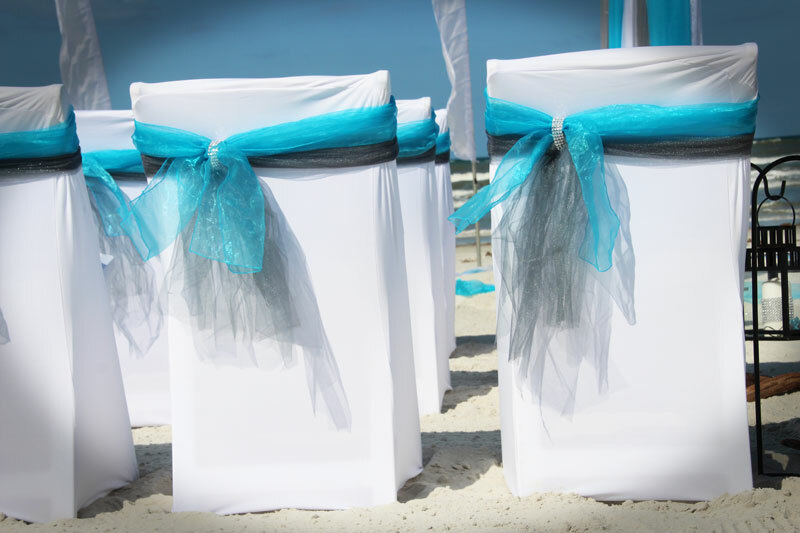 With beautiful white sand and tropical blue water it’s the perfect place to have an amazing romantic beach wedding right here in Daytona Beach, New Smyrna Beach and Ormond Beach! 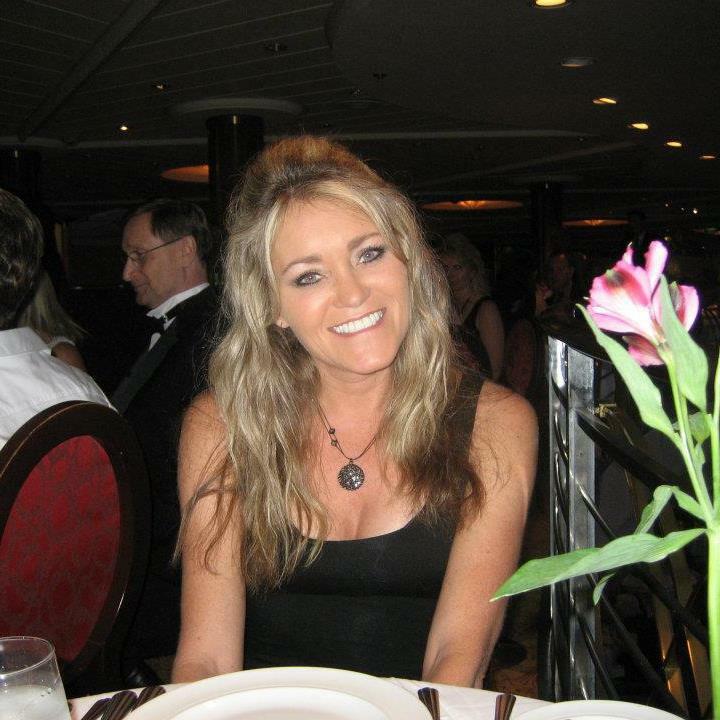 Planning a long distance wedding can be intimidating for couple whom may not know where to start. 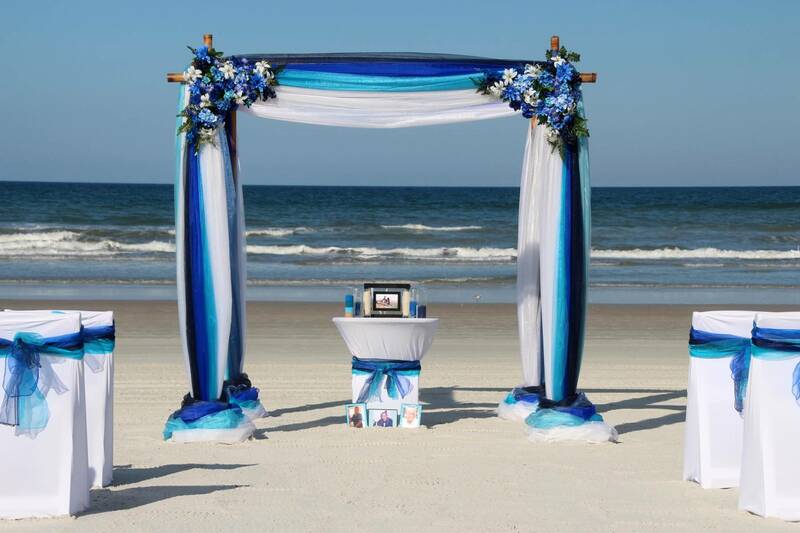 We will work with you to plan your beach wedding in Daytona and New Smyrna Beach in Florida. With such options as an on-site hairstylist, makeup artist, wedding photographers, wedding music, florist, and much more, the event will be fun-filled and easy, making it a wonderful, memorable and affordable event for everyone. 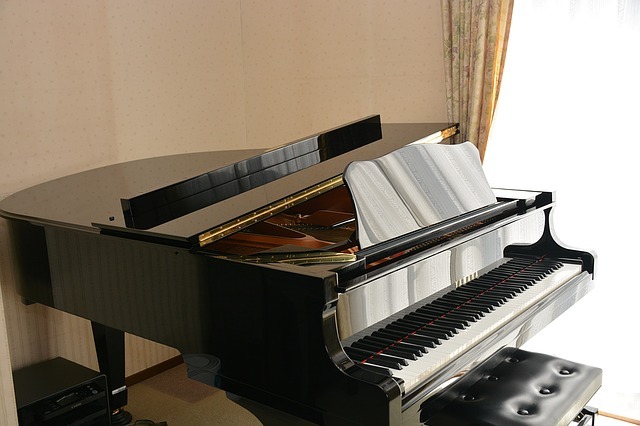 Give us a call (386) 428-0777 or (386) 279-1179. 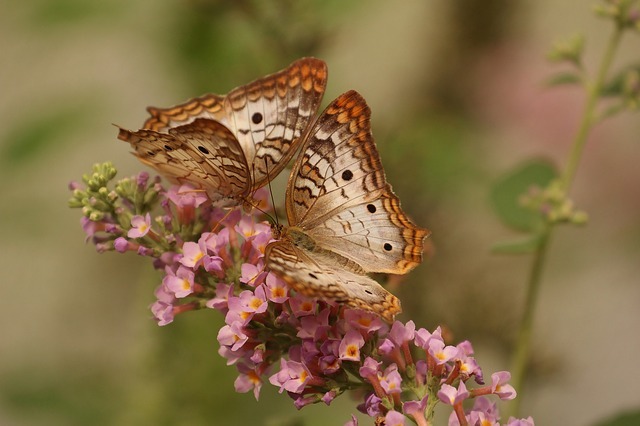 We can set up on our beautiful beaches, back yards or gardens in many Florida locations including New Smyrna Beach, Daytona Beach, Port Orange, Ponce Inlet, Ormond Beach, Edgewater, Sanford, Lake Mary, Palm Coast, Deland and more. Are you planning a vacation in Orlando? We are just an hour drive and have the most beautiful beaches on the east coast. 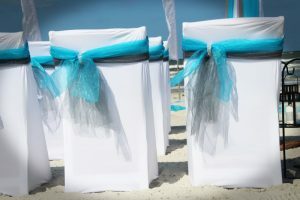 We have plenty of beach wedding locations in Daytona Beach and New Smyrna Beach Florida available for you and your guest. 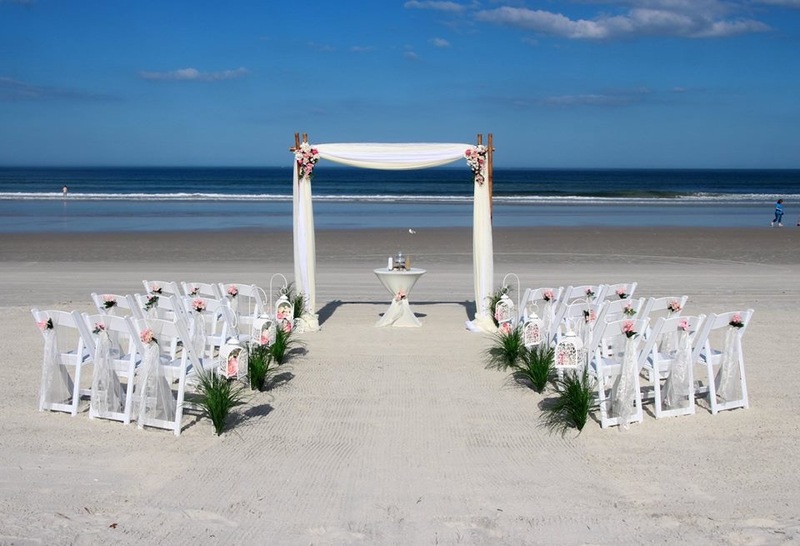 Daytona and New Smyrna Beach has a lot to offer you for weddings, including beautiful white sand beaches and gorgeous parks, mixed with lots of sunshine. New Smyrna Beach And Daytona Beach has a lot to offer when it comes to restaurants for receptions. With gorgeous ocean and river views to host your romantic celebration, your guest will surely be impressed and will remember the beauty forever. The beach is a perfect place to say your vows to each other! What could be more romantic and a beautiful beach with tropical atmosphere. Barefoot in the sand and warm breezes with beautiful sunrises and sunsets. Relaxed and never uptight is exactly how this special day should be. Celebrating with the friends and family that mean the most to you is what makes a perfect beach wedding. Affordable Beach Wedding made our special day the most beautiful & memorable day of our lives!! Every single element was perfect. The decor was gorgeous & the setting made for the most breath taking scene imaginable!! It was definitely more wonderful than I could have ever imagined, I never wanted to leave. Eva was so friendly & considerate to our every need, very helpful & patient with us at a time that can be so stressful in planning!!! We was very impressed with the photos & I would recommend using their photography for the most memorable moments captured!! In all we are very satisfied & wouldn’t have had it any other way;) Thanks to you guys so much for making our fairytale come true!! !